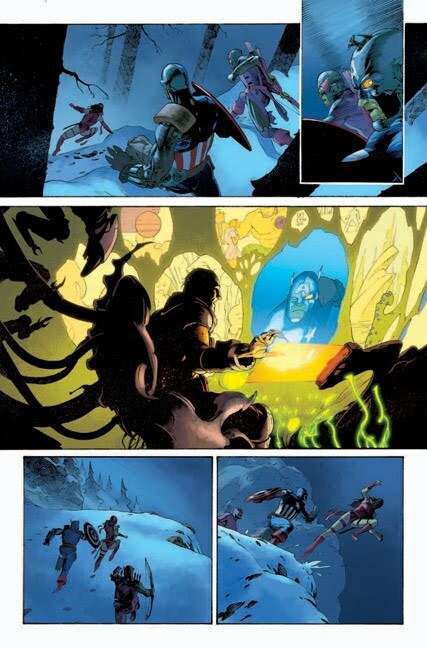 Marvel has provided the following preview art from Uncanny X-Force #6, which comes out 3/23/2011. 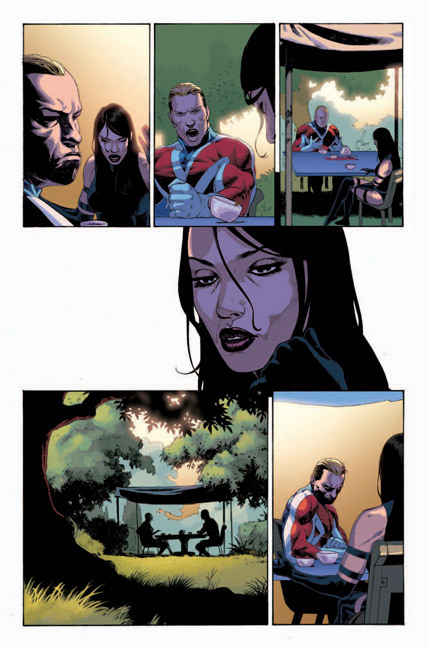 Marvel is pleased to present your first look at Uncanny X-Force #6, from red hot writer Rick Remender and acclaimed illustrator Esad Ribic! The Avengers, the X-Men, and the FF... are now a part of Deathlok Nation! 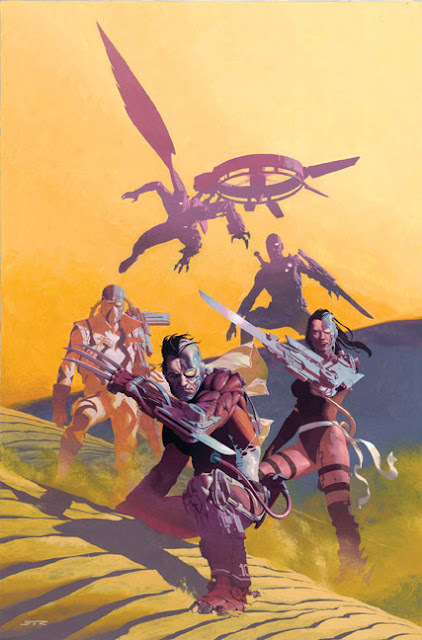 And the only team with the mettle to take out an army of super-humans-turned-cyborg killers is the Uncanny X-Force! 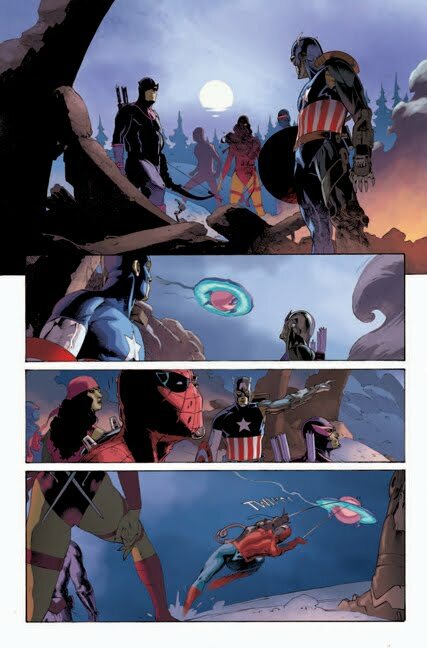 But, mutated or not, surely even they wouldn’t cut down their friends and allies… Right? Guys?! 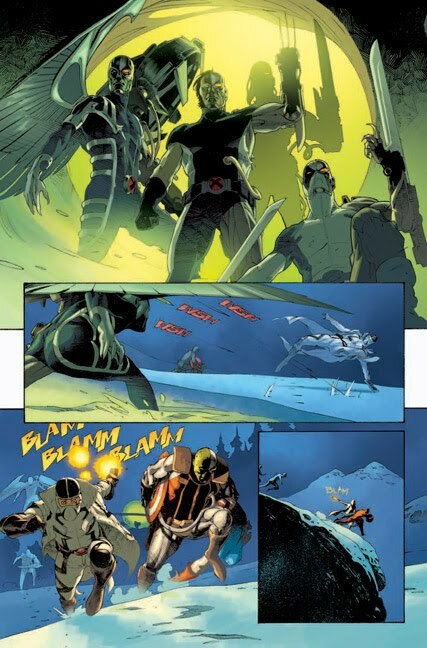 Find out why fans and critics agree – Uncanny X-Force has got them by the throat! The smash hit series of 2011 continues its ride of metal-on-metal mayhem in Uncanny X-Force #6, on sale this March!